The Limon Leader / Eastern Colorado Plainsman: Fall Festival hits Hugo! Saturday October 20th Hugo will be a fun place to be. The annual Fall Festival will be in the Railroad Park on Main Street across from the business block in Hugo. The festival activities will start at 10 a.m. and conclude at 3 p.m. There will be games, activities, food, performances, contests and many more things for all ages. Here is a list of some of the things happening. Delicious fall food offerings will be available in the park starting at 9:30 a.m. The Hugo Lions Club will serve an all you can eat pancake, sausage and juice brunch that will warm you up and get you ready for the busy day. To enjoy this delicious pancake feast the prices are $6 for adults, $3 for kids 12-4 years old and kids 3 and under are free. Amy Seymour will have a lunch booth offering hotdogs, chili dogs and chili cheese Frito's. The boy scouts will have a yummy table with homemade caramel apples. For a little competition while satisfying your sweet tooth the Pirate Pom cheerleaders will have a cake walk. The Pirate Pom cheerleaders will also perform a dance at 1 p.m. in the railroad park. HIP is sponsoring several free activities and games throughout the festival. Hannigan Farms in Swink, Colorado donated 50 pumpkins for pumpkin painting and decorating from 10 a.m.-Noon. HIP will provide the decorating supplies and brushes. During that time and in the same location you can also color a coloring contest paper for the coloring contest sponsored by Osborne’s Supermarket. At 11 a.m. and 2 p.m. there will be a costume parade, costumes will be judged and prizes given. Everyone wearing a costume will receive a treat. The costume contest is for all ages. From 1-3 p.m. Bingo will be available for all ages with sweet prizes!! At 2:30 p.m. we will have a fun game of dognut bobbing. You won’t want to miss seeing this fun and delicious game. October 20th individuals can enter a scarecrow and win prizes. The winning scarecrows will also be displayed in and outside of businesses along Main Street. To enter please fill out a registration form prior to October 18th and return it to ETC. Individual scarecrows need to be brought to the railroad park at 10 a.m. so they can be displayed. To encourage local shopping and to support our local businesses there will be a game of local shopping bingo. You can pick up your bingo card at Osborne’s or ETC and return the forms to the railroad park at 1:30 p.m. We will then draw for some great prizes donated by the local businesses. Prizes include gift certificates to our local businesses in amounts ranging from $20-$5. Shop local, dine local, and have fun locally. This should make the week before the festival fun as well!! Throughout the day several vendors and booths will be set up in the park. Most tables will have trick or treat candy for those in costume, some will have games for you to play and others will have face painting available. It will be a great day to start your holiday shopping. Several groups from the school will have fundraisers in the park as well. The senior class will have a football toss game and have signup sheets for butter braid sells, the newly formed G-H Speech Team will have a table with treats, and the FFA kids will have a bake sale and other items for sale. Please come support your G-H Pirates! Many other fun things will pop up throughout the day. Everything from clowns to fortune tellers will be in the park. Please come and participate in this fun day! If there is cold or wet weather then all activities will be moved to the depot. 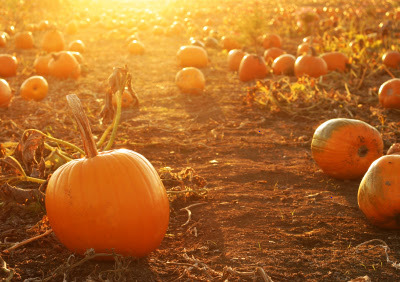 Happy Fall from Hugo’s businesses, community groups and individuals!